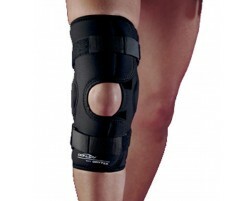 Our soft (lite) hinged knee braces offer a moderate level of support and stability. 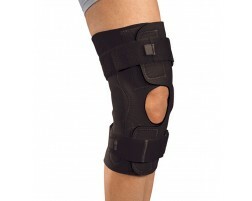 Soft hinged knee braces are ideal for mild to moderate ligament injuries, meniscus injuries, sprains and osteoarthritis. For severe ligament injuries, check out our selection of rigid hinged knee braces for maximum protection and a custom knee brace for a 100% custom-fit top-of-the-line brace.